Did you know we do a Complimentary AAA 40 Point Inspection with every service? 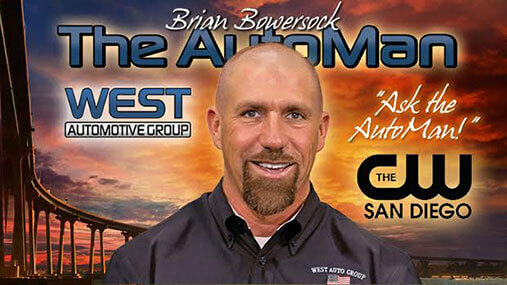 Welcome to West Automotive Group! West Automotive Group is San Diego County’s premier automotive and transmission repair shop. We have four full-service shops in Escondido, CA, El Cajon, CA, Kearny Mesa, CA and Miramar, CA. Our customers have been receiving top of the line maintenance and repairs since 1992. West Automotive Group has maintained its commitment to excellence and service expertise. With complete customer care as our top priority, we provide dependable repairs at competitive prices. Some of the San Diego County communities we serve include San Diego, La Mesa, Spring Valley, Granite Hills, Santee, and Mid-City. If you’re driving in any of these cities, then you have a better alternative for auto service in one of our 3 shops: West Escondido, West El Cajon or West Kearny Mesa! Our customers prefer the personalized service expertise they receive with West Automotive Group. We have a team that works on all makes and models of vehicles. West Automotive Group’s ASE Certified technicians use the industry’s most advanced tools and equipment for all services. Our team stays abreast of all of the latest technologies to make sure your vehicle receives the best service possible. When you visit one of our West Automotive Group locations, you get an expert diagnosis before performing any repairs. We’re the transmission specialists you can trust for both automatic and manual transmission repairs and service. We strive to make your automotive and transmission repair service as convenient as possible. Auto services are an interruption to your already busy day, so we offer our shuttle service to help you stay on schedule. Let West Automotive Group’s techs in Escondido, El Cajon or Kearny Mesa handle your auto and transmission services today! We stand behind our expert services with a 24,000 mile nationwide warranty. 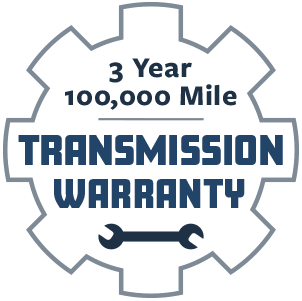 For transmission repairs and service we offer an industry-leading 3 Year / 100,000 Mile warranty. Schedule Your Auto and Transmission Service Today! We have a team that’s waiting for your call! 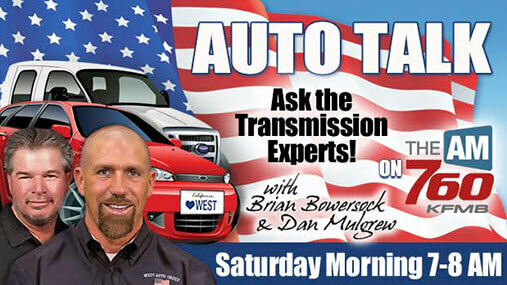 West Automotive Group is the go-to facility for all of your transmission repairs and auto services. Your vehicle is always in good hands at our shop, and our techs remain at the top of their craft. Give us a call today at any of our 4 locations! Our hassle-free services are quick and easy. To schedule your appointment right now, go ahead and use our convenient online scheduling system. Pencil yourself in by picking the time that works best for you. Our techs will be here using our state-of-the-art tools and equipment.